During our recent Oz roadtrip in pursuit of the World Solar Challenge, El Reg's Special Projects Bureau made a lightning visit to Woomera, where Britain's space programme was played out and, ultimately, laid to rest. 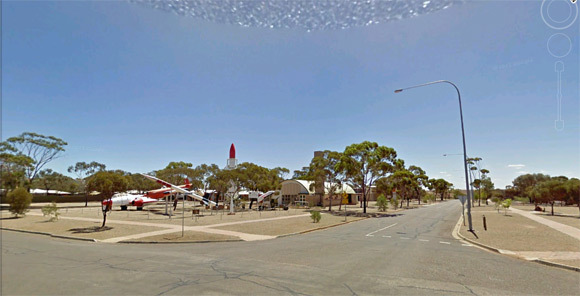 The town (pictured below on Google Earth) was established in 1947 as the core of a joint Anglo-Australian testing range - the vast Woomera Prohibited Area, which might be, we thought, the perfect place to launch our Low Orbit Helium Assisted Navigator (LOHAN) spaceplane. 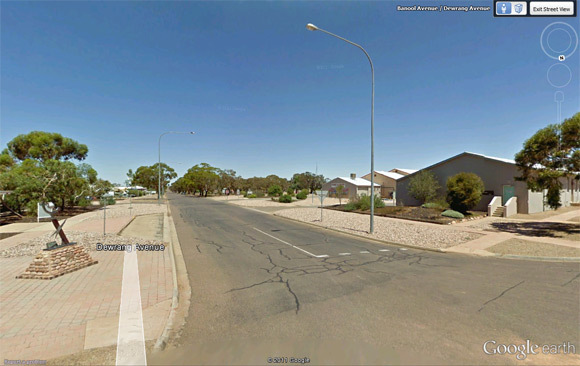 We had only 40 minutes or so to recce Woomera, before getting back on the Stuart Highway to Adelaide, some 480km to the south. It's a spooky place, as those readers who've been there will confirm. Although it once housed thousands of people, the only sign of life we detected was the distant sound of some kids splashing around in a swimming pool. 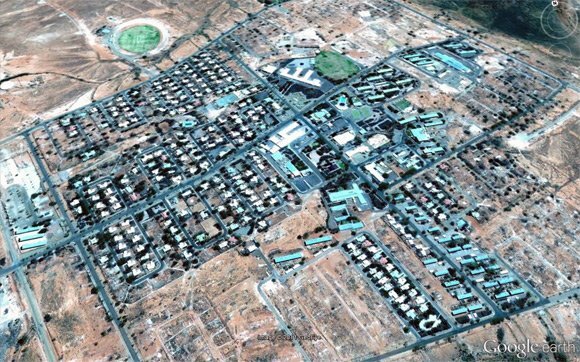 Although Woomera is evidently not dead - and testing in the Prohibited Area continues to this day - the UK space programme it once hosted certainly is. On 28 October, 1971, a Black Arrow rocket launched from Woomera and carried the Prospero satellite into orbit, even though the British government had already cancelled the programme. On that day, Britain became the only nation ever to develop a successful home-grown satellite launching capability, and then abandon it completely. By a strange co-incidence, 28 October was the date of our successful Paper Aircraft Released Into Space (PARIS) aircraft launch last year, which got us thinking that perhaps a British scientific return to Woomera is destined to be, by way of tribute to all those who flew the flag Down Under, only to have their work ultimately thrown away by politicians. ...which is almost as interesting as the words "BOTTLE SHOP" writ large. 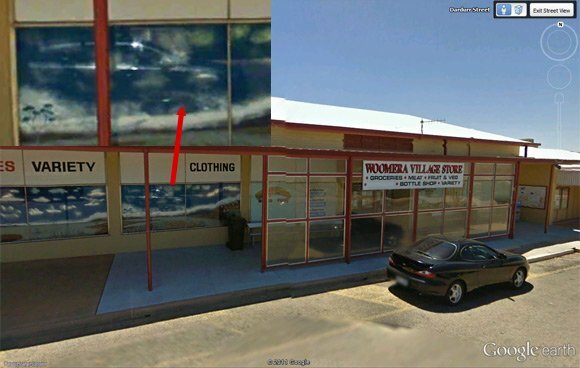 Let's face it, there's no way the LOHAN team is going to go mob-handed to Woomera if it can't source cold stubbies.